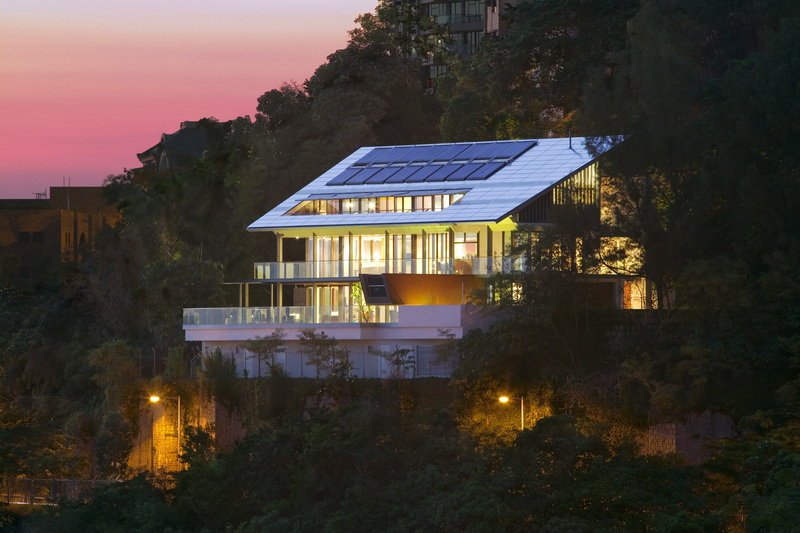 The three-storey house sits on the southern slope of Mount Davis with broad views over the Lamma Channel. Formerly occupying this 600-square-metre site was a one-storey European house with a swimming pool belonging to a relative. It was demolished to make way for the current building, which is sandwiched between Mount Davis Road from the top and Victoria Road below. Award-winning architecture and urban design firm Farrells was chosen to turn this vision of an eco-friendly family home into reality. Designers were initially set back by the long and narrow site; regulations limited interior space to just 420-square-metres across three floors. In response to the rectangular constraints, Farrells designed a long building – a concept partially inspired by the Malaysian longhouse. 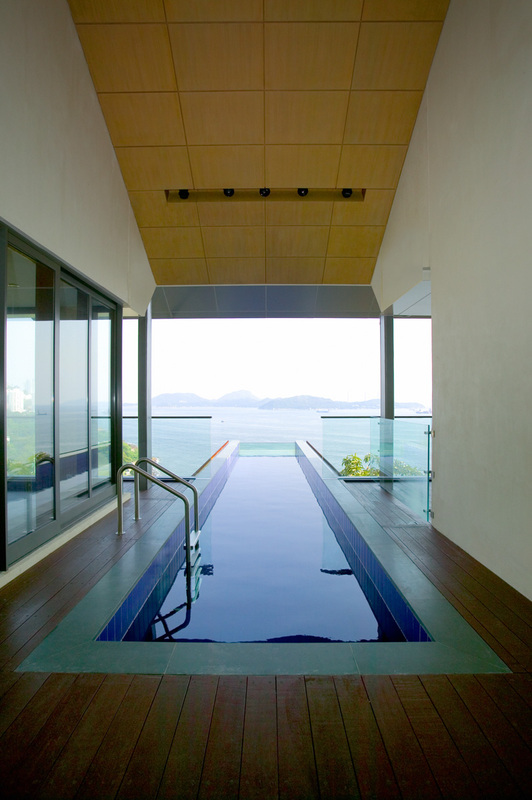 The form ultimately allowed wide sea views from most rooms, promoted cross ventilation and provided an acoustic shield. 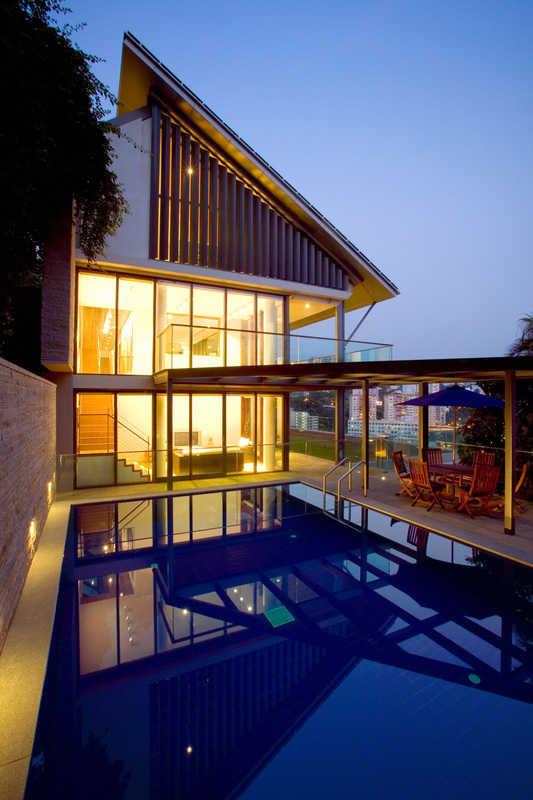 For all its aesthetic appeal, the villa was fundamentally designed to utilise the latest environmentally friendly technologies. Double glazed windows, large mass walls, and an insulated roof reduce the house’s cooling load. North-facing operable skylights also facilitate a stack effect for natural cooling in summer months. The house is impressive at every level. It is a highly sophisticated solution on a demanding site that works as a family house, as a part of its location and as an example of innovative thinking. Its aesthetic defies categorisation, but communicates that it is an imaginative solution to a specific situation.